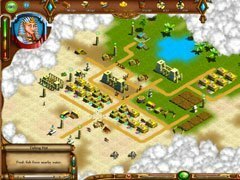 Venture back to the glory days of ancient Egypt! 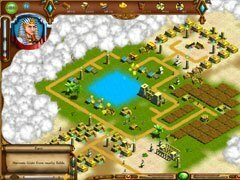 Your job as the pharaoh´s architect is to create flourishing cities full of shiny majestic temples. But beware, once your settlement has prospered there will be those that want to steal your riches. Make sure you are ready for these challenges as they happen. 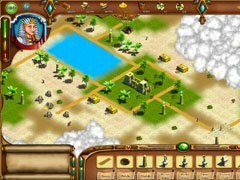 "Egyptian Settlement 2 - New Territories" is not only a game for fans of time-management but also any that enjoy strategy. Campaign mode will get you acquainted to the land and its inhabitants and there is also a free-play mode that lets you develop your settlement without any time limitations.